You can configure an Interaction SIP Station II to work in PureCloud by creating a base settings profile. 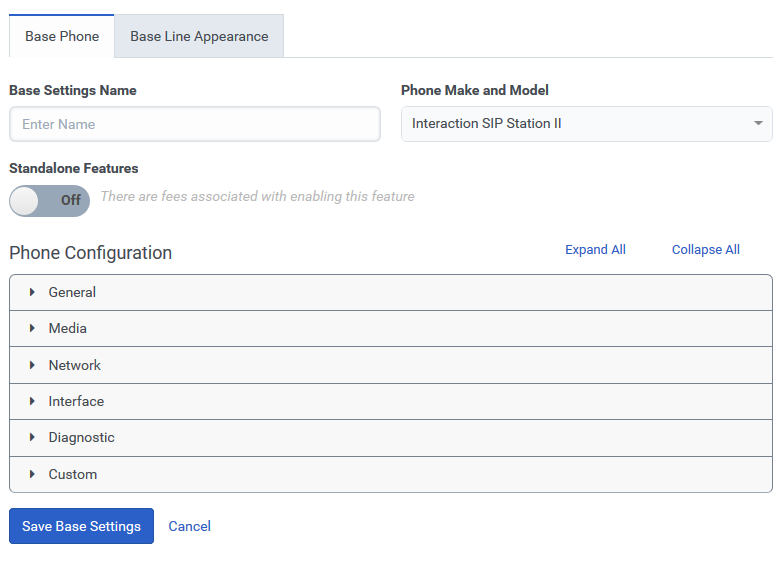 This profile contains a group of settings found on the Base Phone and Base Line Appearance tabs that define how a SIP station is to operate in PureCloud. Once you create a base settings configuration, you can save it with the default settings or you can customize the settings. From the Phone Make and Model list, select Interaction SIP Station II. 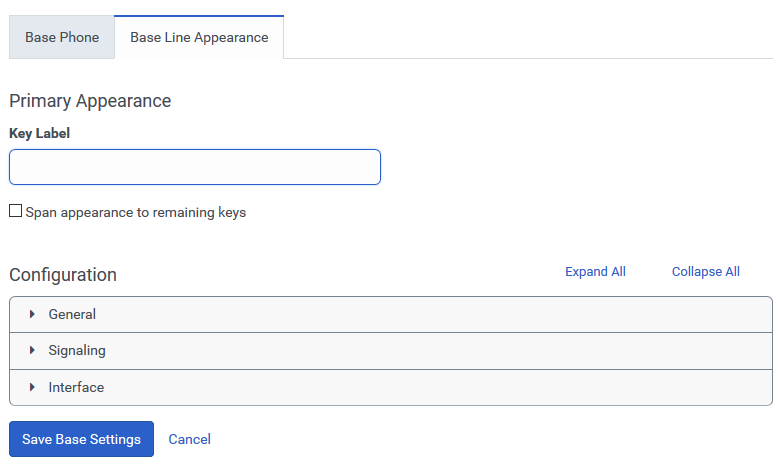 To use the default base settings, click Save Base Settings and proceed to the Configure the base line appearance section of this article. 管理者パスワード The administrative password that you use when configuring the phone from the web interface. By default PureCloud masks the password, but you can select the Show Password check box to see the password in plain-text. Use this setting to configure the Message Waiting Indicator (MWI) – the light that blinks to indicate that the user has a new voicemail. To use the default base line appearance settings, click Save Base Settings. You can now Create an Interaction SIP Station II. Once you have created a base line settings for the Interaction SIP Station II, you can now Create an Interaction SIP Station II.